A suspect in a April 1987 murder in the Escobares area was arrested on Wednesday evening, Jan. 6 in a joint operation by the Starr County Sheriff’s Department and the U.S. Marshals Service. 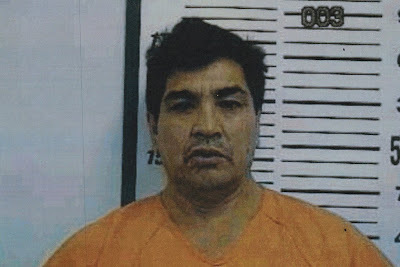 Juan Francisco Martinez-Bautista, 53, was arrested at a Roma residence at approximately 9 p.m. on Wednesday, Jan. 6. He was apprehended after trying to flee through the back door of his residence. Bautista was arraigned before 229th District Court Judge Alex W. Gabert and charged with murder in the April 19, 1987 slaying of Margarito Alaniz, Jr. near San Julian Road north of Escobares. Bautista’s bond was set at $1 million. The sheriff at the time, Gene Falcon, indicated in April 1987 that an autopsy revealed that Alaniz was shot twice in the stomach, once in the head and once in the leg. According to the 1987 Herald article, Falcon indicated at the time that there were at least a couple of eyewitnesses to the shooting.